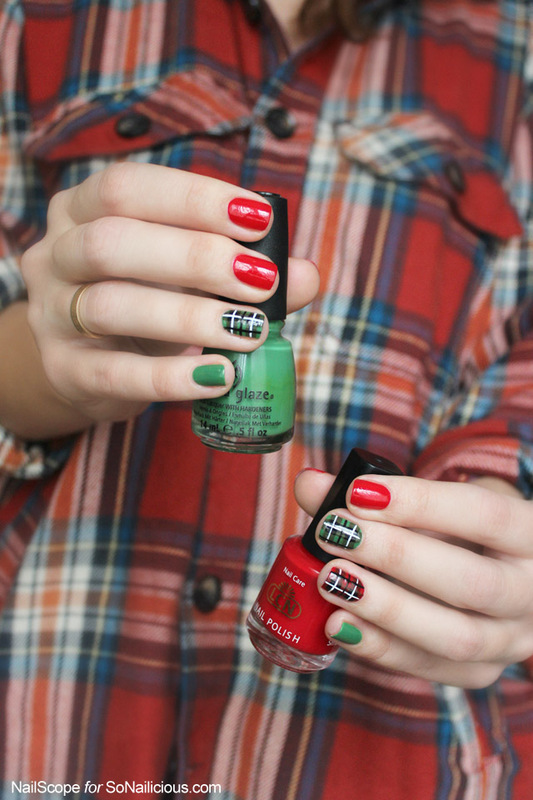 Whether it’s winter where or summer in your part of the world, plaid nail art will instantly put you into a festive mood. Plus, this pattern is quite universal and you can make it in any colour combination you like. Put on your husband/boyfriend/significant other’s plaid shirt, make a hot chocolate and let’s paint! 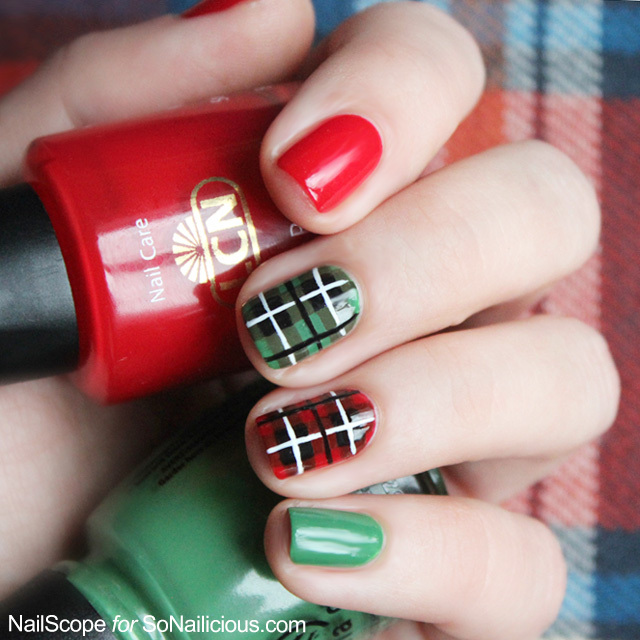 Decide which nails will be red or green. Apply 2 coats of nail polish on each nail. Paint two horizontal stripes with a nail polish brush. 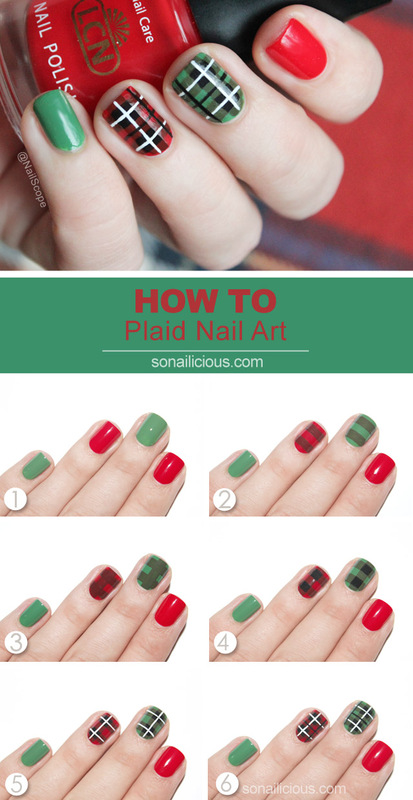 On the red nails use the darker red or on the green, the darker green. Paint one vertical stripe over the horizontal ones. 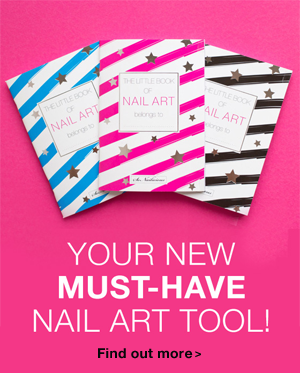 Take a detailing nail art brush and draw the black squares where the lines cross each other. 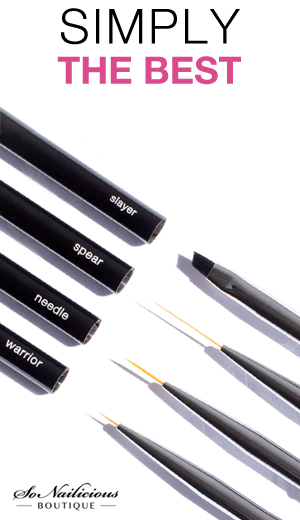 Use a thin nail art brush to draw fine white lines as pictured. Clean and dry your brush. Continue with fine black lines. Allow 15 minute for your design to dry, then apply 2 coats of clear top coat to seal and smooth the design. 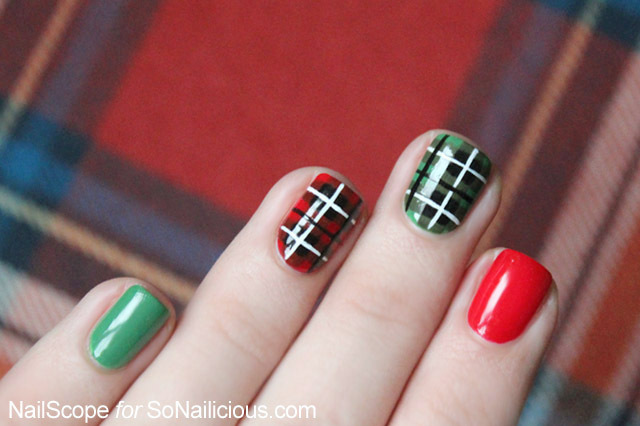 Have you tried Plaid nail art before? Or, keen to give it a try? 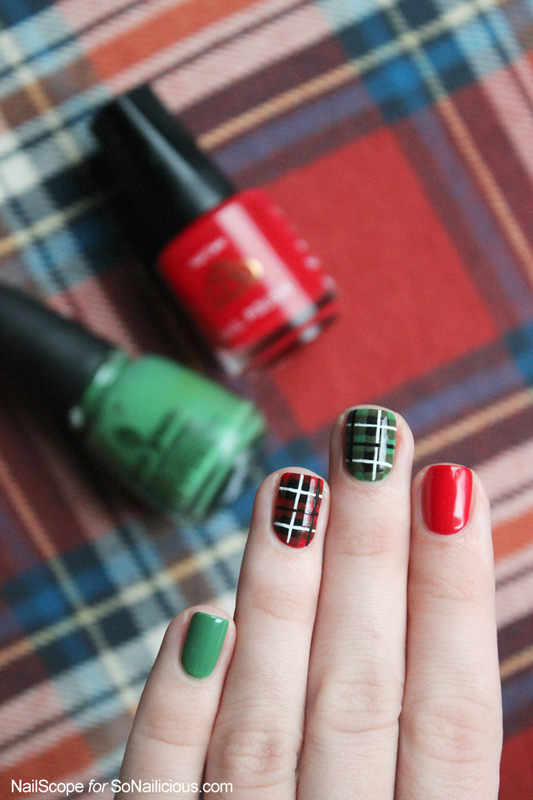 What colours would you choose for Plaid Nail Art? 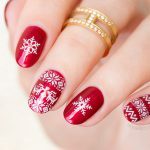 As always, if you create a nail art inspired by this tutorial, make sure you show us! Tweet or Instagram us a photo with the tag #sonailicious we’d love to see your work! New Christmas Stickers collection is here! Subscribe to SoNailicious Newsletter for weekly updates or follow us via Bloglovin for daily updates.